I stumbled onto a video montage of Cameron Crowe’s films on the internet yesterday and it got me thinking about this guy’s work. With Say Anything, Singles, Jerry Maguire, Almost Famous, Vanilla Sky and the yet to be seen Elizabethtown, he’s got a pretty good set of movies. He also wrote Fast Times at Ridgemount High, which may make up for Vanilla Sky being a remake. He won the Oscar for Original Screenplay for Almost Famous. There are two things that are clear when thinking through his work. First, his movies are quotable. Secondly he has some great soundtracks, not just the CD’s that come out with the movie poster as the cover, but the songs he uses in the films all seem to be part of the fabric of the film. 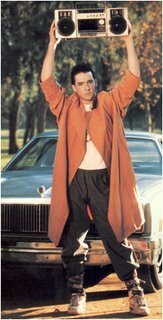 Peter Gabriel’s “In Your Eyes,” Springsteen’s “Secret Garden,” Elton John’s “Mona Lisas and Mad Hatters” all are significant songs away from these movies, but who can hear “In Your Eyes” and not think of Lloyd Dobler holding up the stereo? So, here’s the challenge, post a comment with a quote from a Cameron Crowe movie to prove my point. And, because it’s so amazing. 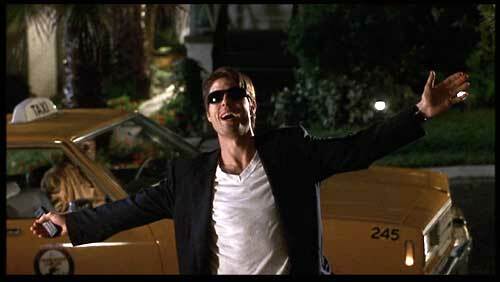 Dorothy (Jerry Maguire): Shut up…you had me at “hello”. Thanks ariadnek, it actually a rip off from Napoleon Dynamite. Now I remember that post. I can’t believe I posted that comment about Katie Holmes.